On top of my wish list. 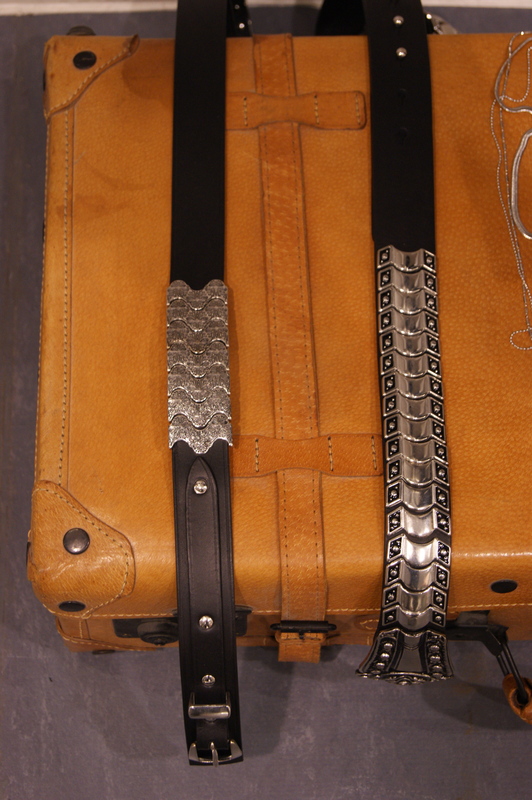 The silver cut out patterns make this belt look like a vintage treasure. These boyfriend jeans were the first thing that caught my eye when I walked into the press room. The shreds are embellished with crystal strings. 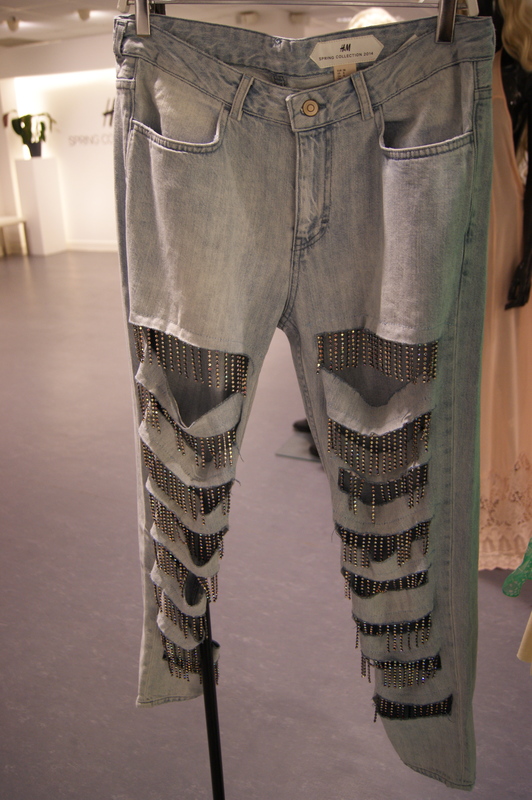 Even though these jeans wouldn't be my cup of tea at first sight, they're actually very cool. They would look awesome with the right pair of sneakers or killer heels. This jacket with different kinds of suède patterns is the perfect item to spice up a casual look. Another item I'm definitely going after once the collection hits the stores: these powder pink suède skinnies. The zippers on the front add that extra something. 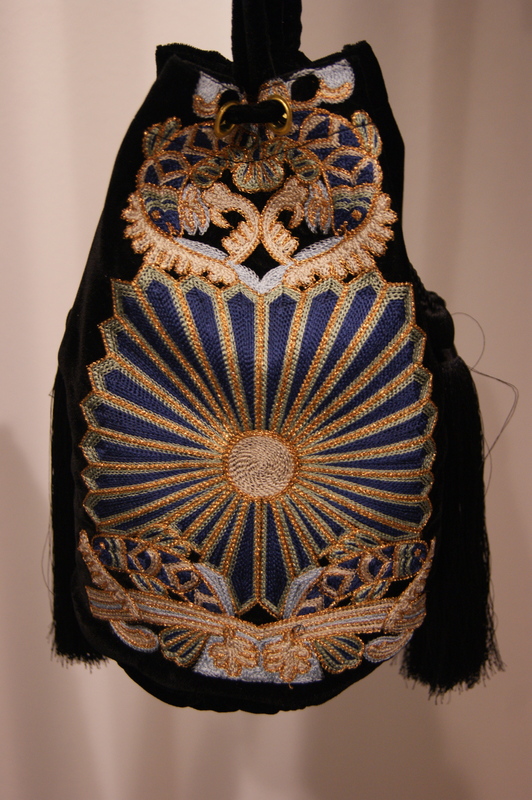 Amazing embroidered patterns on the back of these jackets. The black one is my favorite. Another eye catcher that you could see sparkling from across the room: crystal skorts! 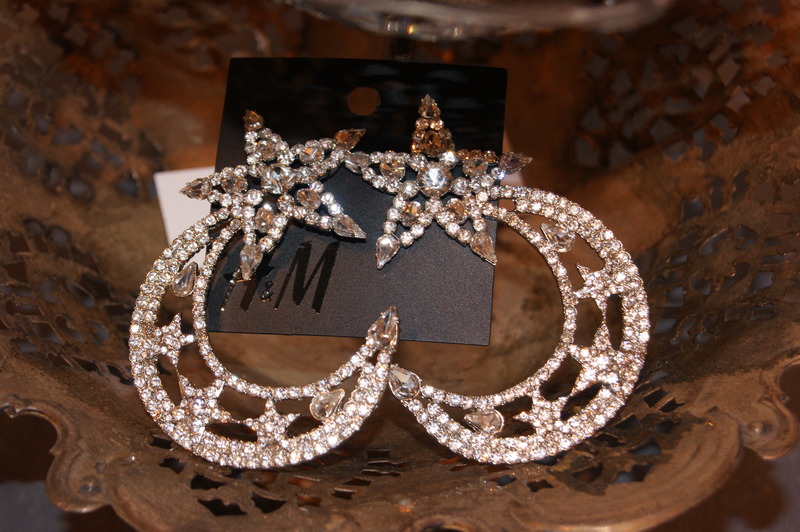 I'm not the type to pull these off, but they would be perfect to wear to a 'Great Gatsby'-inspired party, don't you think? 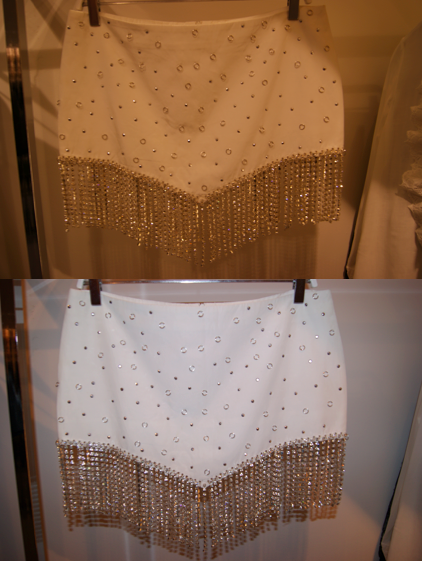 I took some pictures with and without flash, but they still don't do the skorts justice. Do you remember that Friends-episode where Monica bought a pair of gorgeous boots (still hated them, though) and Rachel walks in and says: "Hi, Monica! Hi, boots!"? 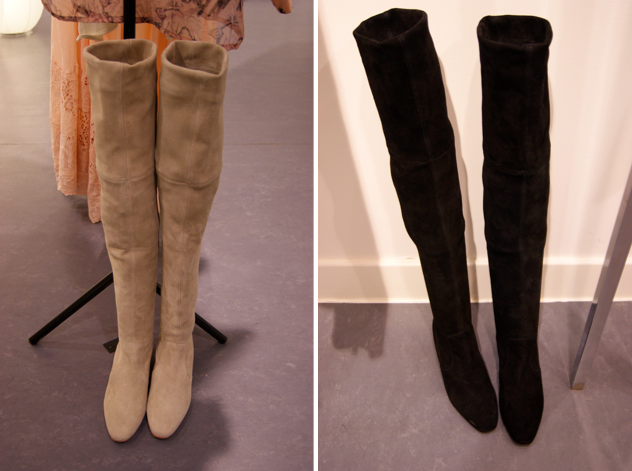 That's exactly what I was thinking when I spotted these amazing thigh high suède boots. I must have the black ones, no doubt about it. The fact that they have a flat, square heel make them even better. I can totally see myself wearing this bag while walking around the Coachella-festival in California. A girl can dream, right? Saved the best for last: another "Hi, boots!" moment. 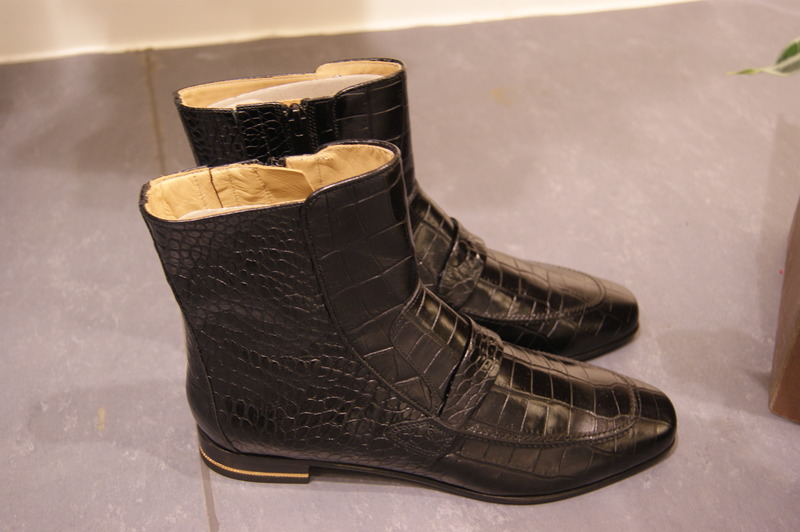 These snake printed booties are TO. DIE. FOR. My mom immediately confirmed: "They're so you!" Imagine these babies with a pair of super skinny black jeans, a tank top and a blazer or vest. 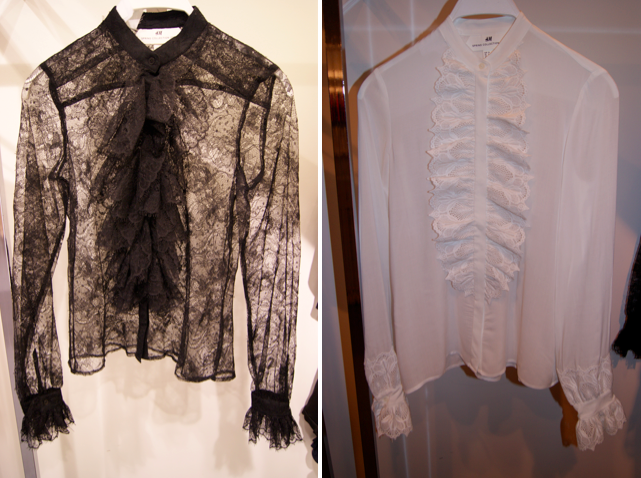 You can channel your inner Kate Moss in a heartbeat. Love that suede jacket a lot! They seem to have some gorgeous stuff! All the colors and different fabrics look great :) can't wait! great boots and yes, I still remember the Friends episode you're talking about.... so funny :)! Die laatste botjes zijn echt mooi! De zwarte jas met die print op en het "blingbling" rokje zijn mijn favorieten!